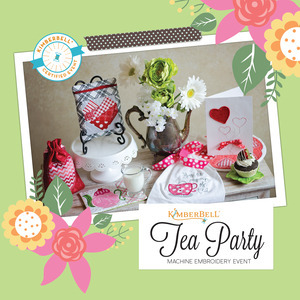 In just two days you’ll make six exclusive projects to decorate for your own tea party or share with someone sweet. Create a quilted candle mat, a tea cup mug rug, and a zipper pouch that anyone would love. Improve your embroidery skills, learn new techniques, and have your cup of tea too! Join us for 2 days of embroidery fun! Bring your own 6"x10" Embroidery area machine, or if you do not already own one, we can provide a machine for you to sew on in class for a $25.00 rental. 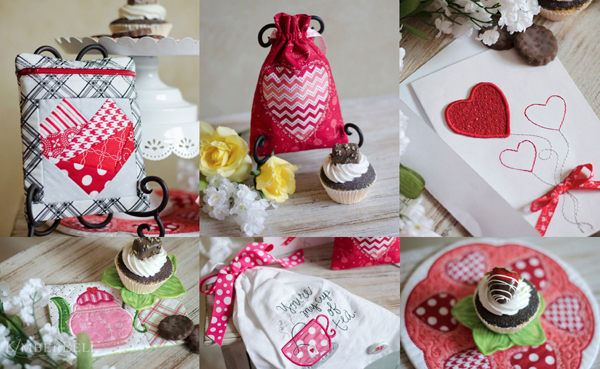 You'll receive the Kimberbell project bag with fabric kits and embellishments to make six exclusive event projects for tea time or anytime you want to say I love you.